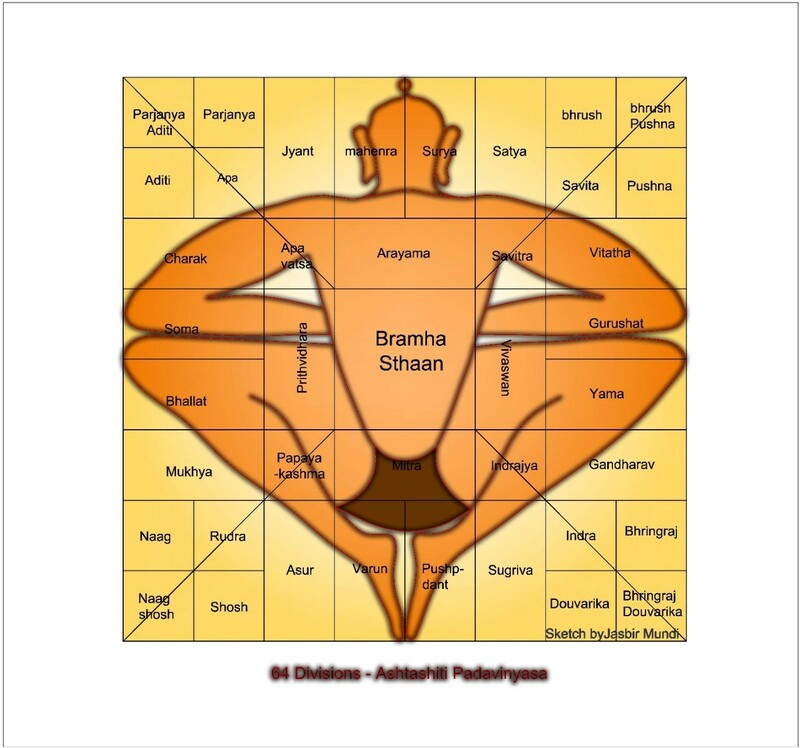 Vastupadavinysa / Pada Vinyasais a square yantra (Grid), which is used for architectural purpose and represents the ritual form of Vastupurusha. 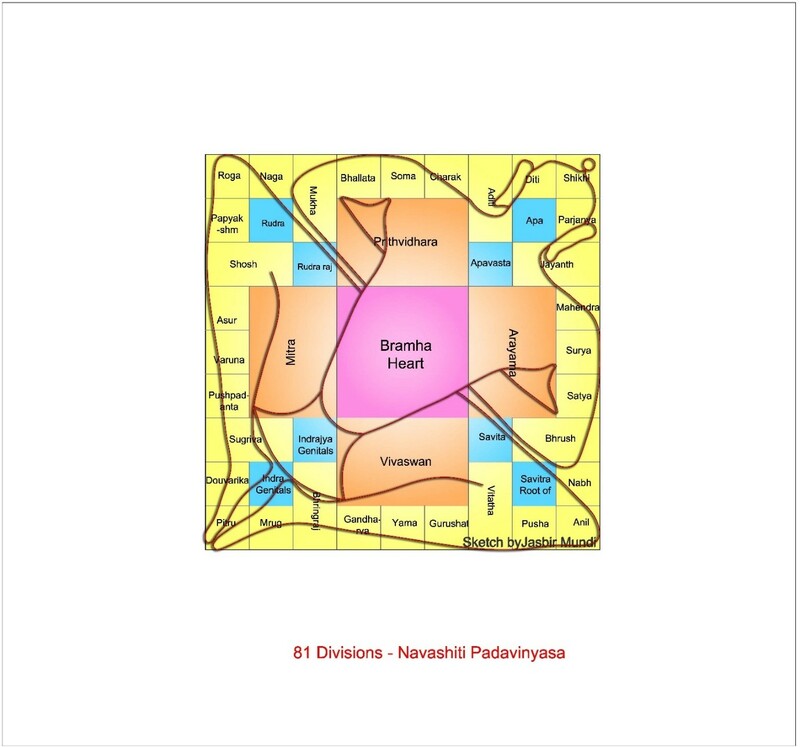 Nava-pada (nine divided site) corresponds to Paramasayika Mandala (81 squares).Building for residential purpose should be built in the Vaastupurusha Mandala having 81 divisions. 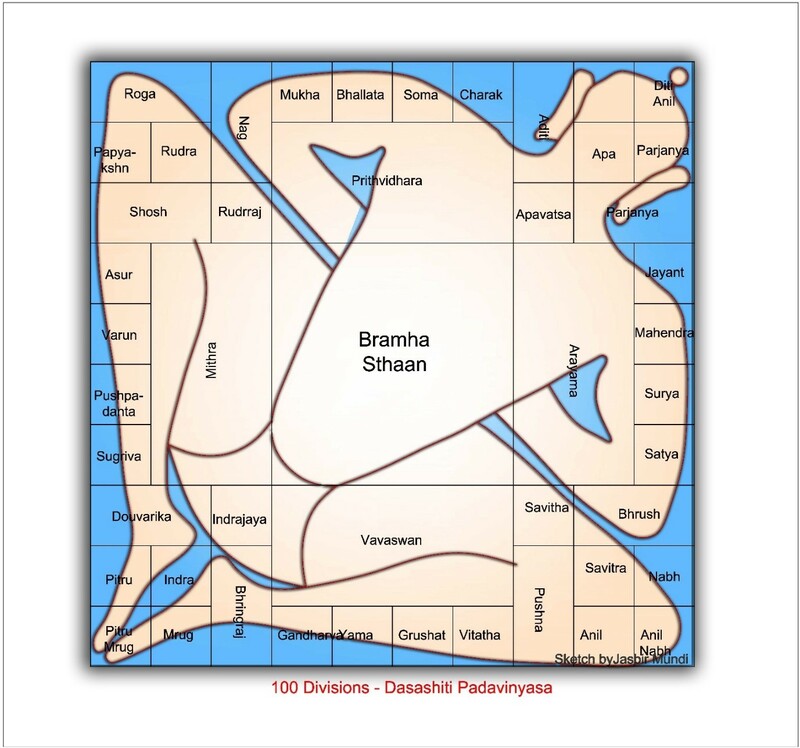 Dasa-pada (ten divided site) corresponds to (100 squares).The ShatPada Vaastupurushamandala is built having (10x10) = 100 divisions.It is used for the construction of mandir, temples,forts , cities, towers for public places.Huge buildings, temples and marriage halls should be built in the Vaastupurushamandala having 100 divisions.